Beginning its 16th season in national syndication, “Access Hollywood” is an entertainment newsmagazine that provides viewers with the latest showbiz news, in-depth celebrity interviews, and behind-the-scenes accounts of the most important events in Hollywood. 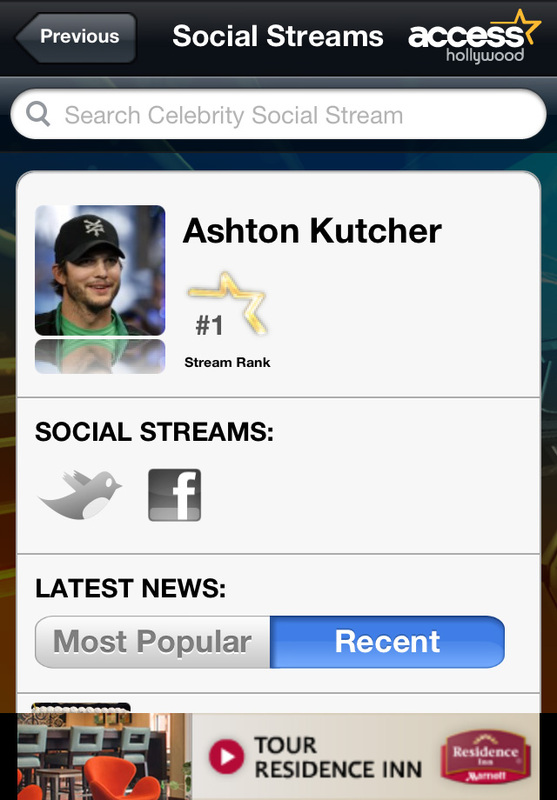 The Celebrity Social Stream app combines that seasoned Hollywood coverage with the best of social media! We’ve created a one stop shop to view the confirmed accounts of thousands of your favorite stars so you can easily follow their tweets, posts, YouTube videos - all of their public social media activity! Stay in the know! 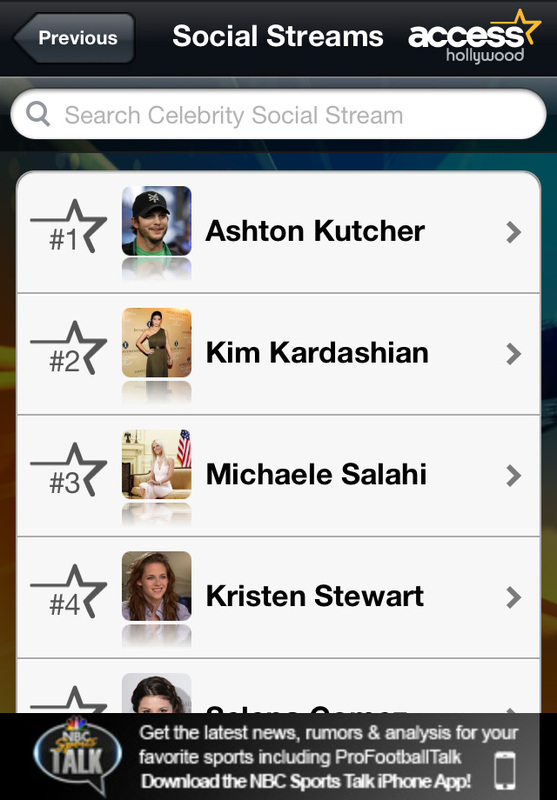 In “What’s Hot!” we present the top 20 trending topics in celebrity news, each day. 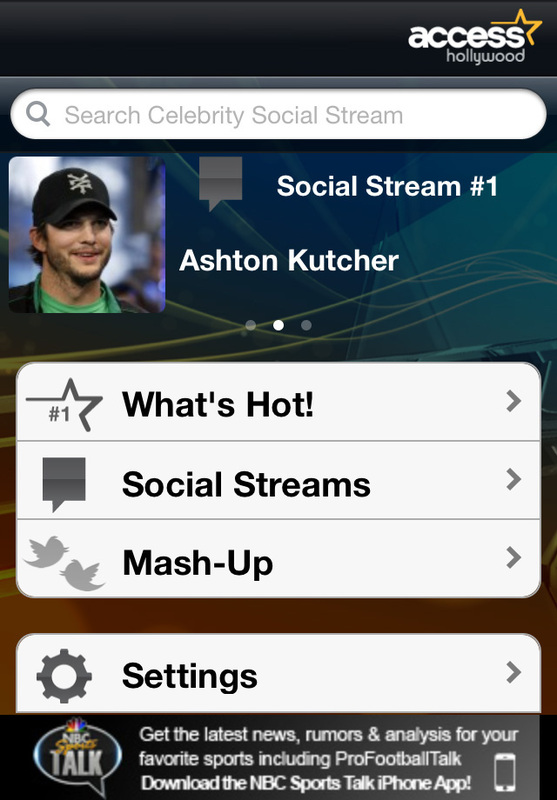 Instead of following your favorite stars and topics on twitter separately, with Mash-Ups, you can take any celebrity twitter handles and combine them with hashtags to create one, custom stream.